Oracle surveyed hundreds of decision makers to learn more about their EPM plans for 2015—both within the Oracle customer base and the industry at large. 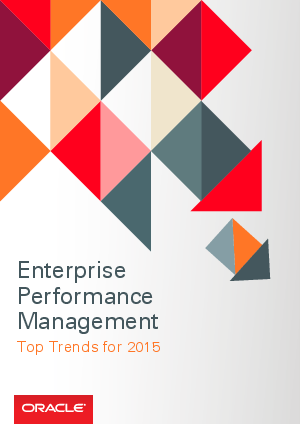 We asked your colleagues to provide specific feedback on EPM technologies and practices—past, present, and future. From this extensive data set we compiled the following views and outlook—along with a bit of advice.